We provide a full-cycle development process, full-stack UI/UX design, testing and support for Startups, Agencies and Entrepreneurs from the over of the world. OF THEIR SIZE AND NUMBER OF CUSTOMERS. It is especially the case if you run a small business and would like to reach audience more via the mobile channel. To be effective is to be Mobility! Detailed visitor's statistics your profile of media and social networking service can be especially valuable for business purposes and not just only. Common resources is complex as well for non-technical people, so we decided to make it easy and created handy way to view and analyze statistical data in mobile. The app reflects up who, when, how many times the page was invited in details. Rhetoric is an art. Dark rhetoric is the art about of winning an argument, being right in dispute and not only. We assembled a collection of darkside of persuasion, manipulation and argue in one place.Join our community in one click and Enjoy the power and magic of word. Benefits: big collocation resource for learning, practice, sharing your thoughts to speak your mind confident. The Eye Workout app is based on the unique method and series of eye exercises for the whole family. They get strengthen eye muscles, improve focusing and movements, stimulate the vision of human brain easy and fun. Benefits: training planning template, description and audio explanation, video demonstration with funny looking character, reminders, achievement statistics. We all need our daily dose of entertainment so that our life will not be boring. 100 things is App to make you happier and your day amazing. Start the next chapters of your life with 100 things. Features: accomplish a chapter, add date for list tracking, put comments and remarks, add location and take a photo. You can start changing your life right now with one click. 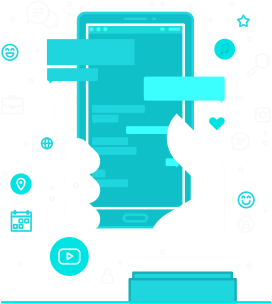 PuerDev delivers solutions for integrating API with Facebook, Vkontakte, Twitter, Instagram, YouTube and for other platforms you need. Moreover we can pull out the date that's not given by API services as well. You can reach a large amount of audience with just one click. 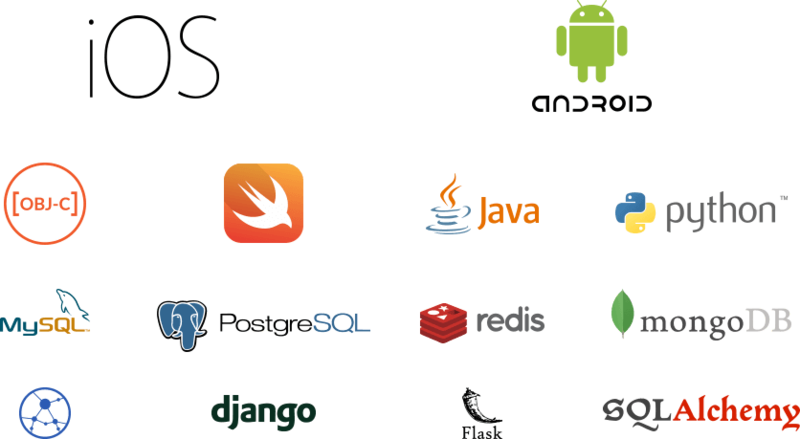 WebSockets bring many benefits for building data, images streaming, real-time communication apps and different media's types. It can be used in a various projects to stays connection open, greatly reducing complexity & latency. Nowadays apps are becoming complex. We simplifies complexity building development style focused on scalability, affordable to maintain support, easy for testing and adding new features if you needed in a feature from the beginning. We build apps architecture using MVC, MVP, MVVM, VIPER design patterns. The main our objective is to meet user's expectation of the product we provide. to get required information shared on a live and real time network. The benefits is that the user gets functions immediately or within time frame. Everyone is scrolling through content, looking for something relevant, nutty to catch the eye. News Feed feature works natively inside social mobile apps like Facebook, Instagram, Twitter, Snapchat etc. It's a great chance to encourage engagement and connect with users within your App. Searching with images, titles, whether users 'd like to identify something to buy or looking for info. are engaged in online shopping and these are active. So your business has the ability to connect to your prospect customers by growing up through content & search. PuerDev 2018. All rights reserved.